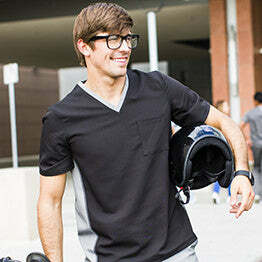 The Women’s Long Sleeve Antimicrobial Under Scrub Top is a lightweight undershirt with a streamlined silhouette. Constructed of super soft polyester, this top offers breathability and moisture wicking properties that keep you protected and confident throughout your shift and beyond. Perfect for layering, yet suitable for solo wear.